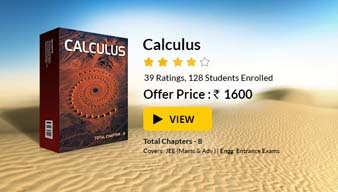 This book has provided excellent tricks for the Chapters like: Indefinite Integral andArea under the Curves. Problems of Definite Integral are quiet useful, especially the solved examples. Selection of problems has been a very big issue with this book. Problems intended for Olympiad and ISI (Indian Statistical Institute) are not very useful for JEE aspirants, so student needs to be quiet selective.